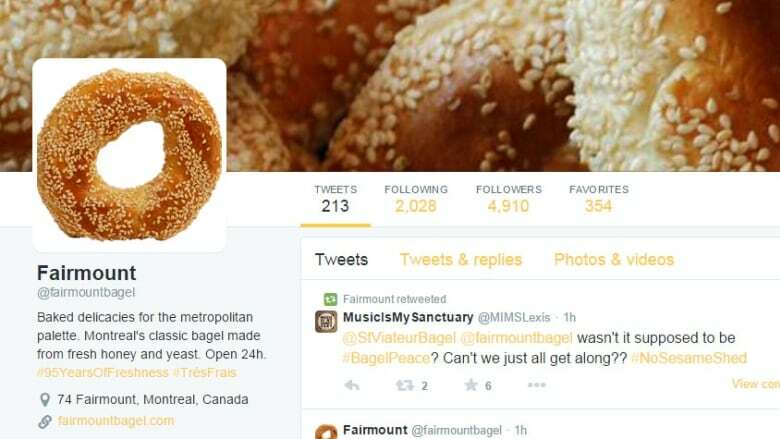 Bad news for fans of the new Fairmount Bagel Twitter account: it's a fake. @Fairmountbagel has tweeted more than 200 times since it was created two weeks ago. It has almost 5000 followers. It's known for tweeting semi-literate bagel promotions, as well as references to Quebec culture. However, it is becoming famous for insulting Montreal's other iconic bagel stronghold, St.Viateur Bagels. The owner of Fairmount Bagels, Rhonda Shlafman, confirms she has nothing to do with the creation of the Twitter account. She says they hope to take it over next year.